The Type 5 Pocket Geiger Radiation Sensor from Radiation Watch is a highly sensitive radiation sensor designed for the embedded systems market. Capable of detecting Gamma and Beta radiation, this sensor has a simple pulsed output that can be used with any microcontroller. Radiation Watch has a handful of documents and example Arduino code to get you up and running. They have also written a Windows example program in C# (source included!) to output graphs to a computer using an Arduino as the reader. These small Geiger sensors feature a measurement range of 0.05uSv/h to 10mSv/h at 0.01cpm to 300Kcpm with a required measurement time of two minutes. The Pocket Geiger has an onboard DC boost circuit, so the board can be supplied with a friendly 3V to 9V. Using only 30mW (10mA @ 3V), it is very low power. Additionally, the counter comes with an optional enclosure and 3.5mm cable. Note: This product is for educational purposes and should not be directly relied upon for determinations regarding one’s health or safety. I feel compelled to add to this blog since there seems to be a lot of confusion about this sensor and several of the negative reviews are not justified in my opinion. 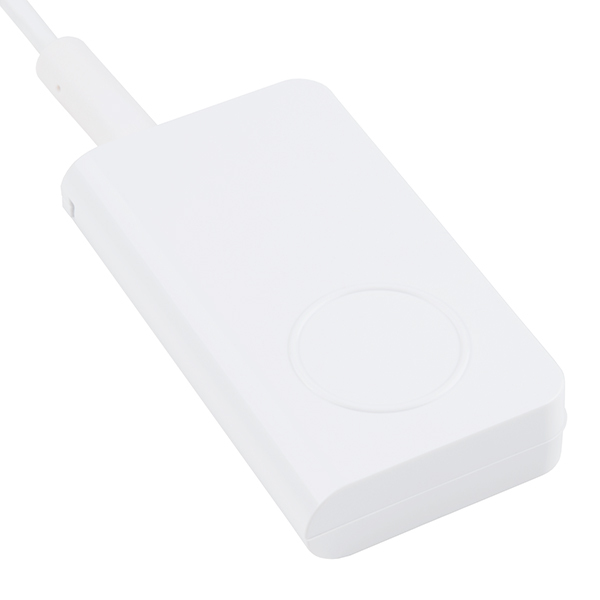 This product (Pocket Geiger Radiation Sensor - Type 5) is built around the X100-7 ionizing radiation detector from First Sensor AG. The X100-7 is a high-quality and very stable solid state PIN diode detector with a large surface area. Similar versions of this detector have been used in several of NASA's x-ray telescopes. The great thing about this detector is that its response does not depend on a carefully-regulated high voltage potential the way that a Gieger-Muller tube does. On the other hand, the X100-7 has an approximately 2 minute response time, so radiation detection IS NOT INSTANTANEOUS as it is with Gieger-Muller tubes. This later fact leads to many misunderstandings. This is not the sensor you want to use if you are prospecting for uranium because the response time is too slow. But if you want to accurately measure how much cesium-137 has contaminated the environment after a reactor accident, for example, then this is exactly the sensor you want. That's why thousands of these same sensors are in use in Japan today. This sensor can detect gamma radiation and, if the included copper shield plates are removed, beta radiation. 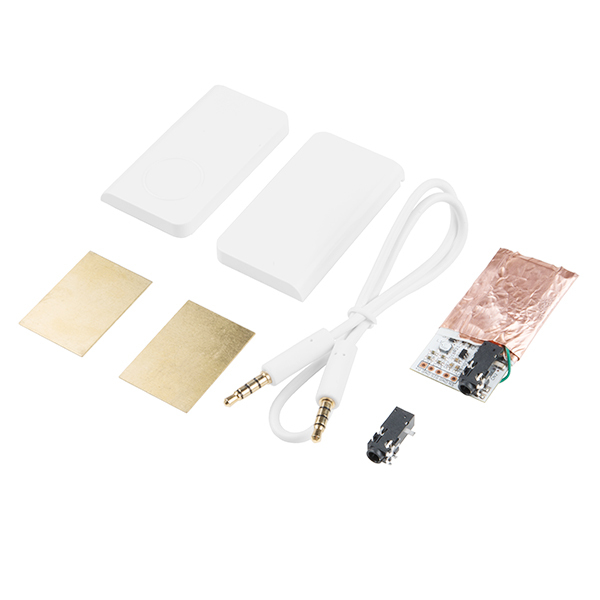 It cannot detect alpha radiation, since alpha is easily blocked by something as thin as a sheet of paper and it cannot penetrate the thin copper foil that is integral to the sensor. The X100-7 is quite sensitive; I have used mine to detect the decay of naturally occurring potassium-40 in bananas. This is one of my favorite sensors. I like this sensor. Appears to work well with Arduino - particularly with interrupt based counter. The pulse width seems to encode photon energy. Calibrating now but initially matches background radiation. So glad I got the email for this. The First Sensor pin diode is extremely accurate. 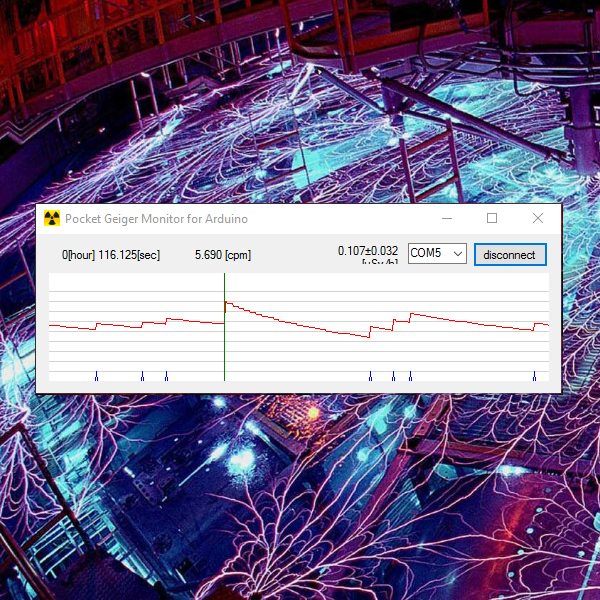 I've tested it against an industrial gamma detector with a Cesium-137 source and they are very close. A little disappointing straight out of the box...the incredibly long response time, using the included Arduino sketch, makes the sensor basically useless. Also, the companion Windows C# program, PokegaMonitor, is limited. It only allows communications on serial COM1 through COM9. You'll have to edit and recompile the code to get it to work at other ports above COM9, like mine at COM11. Even at that, it has a very limited range - the ore sample sends it off the chart. 3 cpm is about what I am seeing as a background count. I'm trying to understand the schematic. Can anyone point me to a data sheet for U4, which the schematic says is an LT1651? My search skills have come up short. How durable is this sensor? Is this sensor durable enough for used on weather balloons or drones? I plan to fly it on rockets and possibly balloons above 100k'. I suspect will see noise on rocket flight during motor burn. But expect should work well during coast, at apogee and during descent. why send it in the sky? want to read high levels of radiation (radon) put it in your basement, you'll be surprised - depending on where you live in the country, but should still pick it up. When radon decays it emits a beta particle and gamma ray so should be picked up by this sensor if my thinking is correct. Hmm, to my knowledge the Type5 version cannot simply be connected to the phone via jack as stated in the video: http://radiation-watch.sakuraweb.com/share/type5_testpin_specification.pdf. But perhaps I am wrong? I hooked the device up to 4.5V power and connected the signal pin to my oscilloscope. I brought a highly active (checked with another Geiger counter) sample of radioactive ore near sensor and there was nothing, just a D.C. level. Sorry to hear about the trouble with getting it working. Have you contacted our technical support department at Techsupport@sparkfun.com - they're usually the best people around here for getting things working. Hooked it up to a 3.3V Pro Mini and it reads fine. You must pull up the input and noise pins, the internal pullup resistors in the Mini give about a 100 microsecond pulse which is perfect, but can be adjusted by wiring external pullups. Sensitive to vibration, and I have seen signals associated with the noise signal when it gets jostled around, so don't do that. Gives very consistent background readings over long intervals. Unable to get it to work. The Sparkfun write up says the pocket geiger can be connected to mobile phones and used with a downloaded app. It didn't work with my Samsung Galaxy S7 Edge. Spark fun Tech Support confirmed it didn't work with their Galaxy S5 or iPhone 6, and suggested that I could build a small interface and power supply circuit, which they said worked great on the iPhone 6, and sort of worked for their Galaxy S5. I explained that I wasn't looking for a new project, just a sensor that worked. I returned it. Yeah unfortunately it only works with some phones. We're unable to confirm its compatibility with all types of phones. I'm working with my granddaughter on sensor servers implemented using the SparkFun Arduino Blackboard. 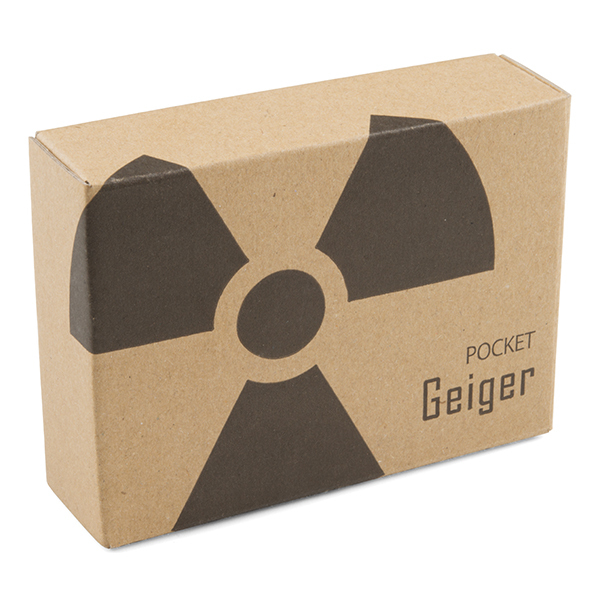 One of the sensors we selected is the Pocket Geiger. Got it to work on the first attempt. I used the supplied TRRS cable to connect to a breadboard that was jumpered to the Blackboard. I powered up, uploaded the example sketch, and the Pocket Geiger began generating data. I measured background radiation and radiation from a piece of uranium ore from eBay. The uranium ore measured at about 100x the background. Very happy with our choice.